Repair Kit for sleeping mats Klymit. 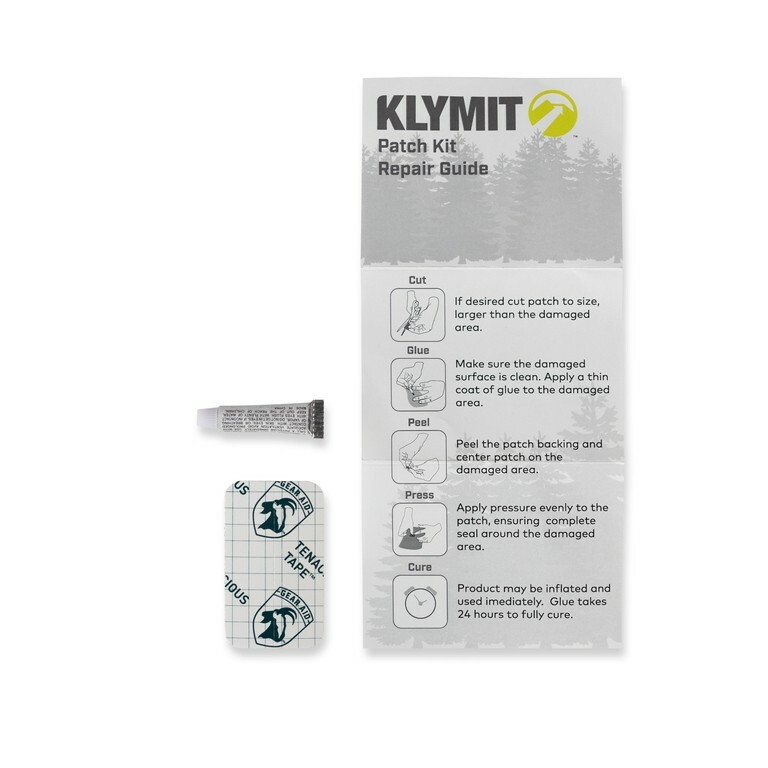 The Klymit Patch Kit includes two ultra-strong Gear Aid Tenacious Tape patches, glue, and instructions. The clean tape has no sticky residue like duct tape and is strong enough for essential repairs to your sleeping pad, bag, and other camping gear including tents, clothing, jackets, backpacks, vinyl rafts, and more.